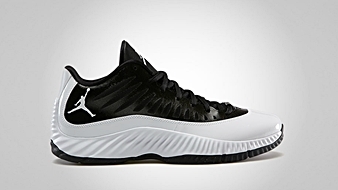 Two more colorways of the popular Jordan Super.Fly Low will hit shelves next month, Jordan Brand confirmed. 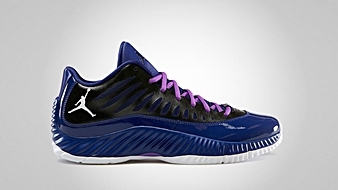 This low-top edition of the groundbreaking sneaker will come out in Black/White and Black/White – Deep Royal Blue – Laser Purple colorways in May 2013. This impressive sneaker features a three-layer composite Hyperfuse upper part for superb comfort and breathability along with Nike Zoom and Lunarlon cushioning that led to a more responsive kick. These two kicks are definitely must-cop sneakers next month so make sure to grab your own pair for just $115 once it hit the market.